Samual Haight, arch-enemy of all Garou and target of the Verbena, has latched onto a secret that could begin Gehenna. 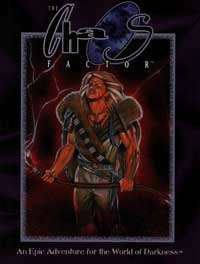 All over the World of Darkness, mages, Kindred, Garou rush to intercept him. Some would kill him. Others would maim him... This is a multi-level crossover for Vampire, Werewolf, and Mage and includes a sourcebook for Mexico City, backwater of the Technocracy and headquarters of the Sabbat; a horrific secret that could usher in Gehenna; and the last stand of Samual Haight.